HRC President: We're Going To Get Our Country Back - Joe.My.God. “We are going to get our country back. I have never seen in my career the kind of grassroots energy and activism like we see today. I really do believe if you fast forward two years, four years, five years, we will look back at this moment and see it as one of the great awakenings of our democracy. Marginalized communities all across this country are turning out in massive numbers for a host of reasons, but at the forefront of that is who Donald Trump is, and what Donald Trump is doing to our communities. 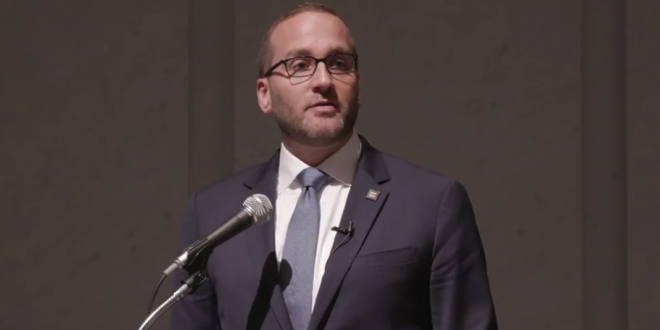 I have never seen more coordination and more collaboration across social justice movements to stand up to fight back and to turn resistance.” – Human Rights Campaign head Chad Griffin, in an interview with the Washington Post‘s Jonathan Capehart.